Below are all back issues of Australian-Shepherd-Lovers.com Newsletter, which you can subscribe to from this site. October 21, 2018 -- 🐾 Australian Shepherd Lovers Newsletter -- Have You Done This For Your Aussie Yet? September 23, 2018 -- 🐾 Australian Shepherd Lovers Newsletter -- Tell Us All About Your Aussome Aussie! August 17, 2018 -- 🐾 Australian Shepherd Lovers Newsletter -- Does Your Aussie Have These Symptoms? 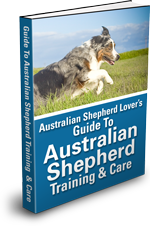 July 17, 2018 -- Australian Shepherd Lovers Newsletter -- Do You Have Dog Training Questions? June 20, 2018 -- Australian Shepherd Lovers Newsletter -- You're Bound To Find Something You Like! February 15, 2018 -- Australian Shepherd Lovers Newsletter -- Facebook CEO, Mark Zuckerberg Is At It Again! November 14, 2017 -- Australian Shepherd Lovers Newsletter -- The Website Is Now Secure (HTTPS)... But I Need Your Help! October 13, 2017 -- Australian Shepherd Lovers Newsletter -- Oooh, Scary Stuff Kids! July 15, 2017 -- Australian Shepherd Lovers Newsletter -- Did You Know This About Dogs And Gum?! May 10, 2017 -- Australian Shepherd Lovers Newsletter -- What Do Worms, Collars, and Nail Clippers Have In Common? April 19, 2017 -- Australian Shepherd Lovers Newsletter -- Ready Or Not, Here It Comes! March 14, 2017 -- Australian Shepherd Lovers Newsletter -- Let's Get Serious About Dog Training! February 16, 2017 -- Australian Shepherd Lovers Newsletter -- Getting Tired Of Your Dog's Bad Behavior? January 17, 2017 -- Australian Shepherd Lovers Newsletter -- We're Off To A Great Start! September 03, 2016 -- Australian Shepherd Lovers Newsletter -- Be Among The First! August 10, 2016 -- Australian Shepherd Lovers Newsletter -- How Much Exercise Is Too Much For Aussies? April 15, 2016 -- Australian Shepherd Lovers Newsletter -- Whew! It Took A Lot Of Work, But It's Finally Here! February 14, 2016 -- Australian Shepherd Lovers Newsletter -- How Well Do You Understand Your Aussie? May 05, 2015 -- Australian Shepherd Lovers Newsletter -- Stay Healthy, Stay Happy! February 09, 2015 -- Australian Shepherd Lovers Newsletter -- Is It Safe To Give Your Australian Shepherd Meds? December 08, 2014 -- Australian Shepherd Lovers Newsletter -- Is Your Aussie Part Beaver? November 08, 2014 -- Australian Shepherd Lovers Newsletter -- How Gassy Is Your Aussie? June 25, 2013 -- Australian Shepherd Lovers Newsletter -- How Cool Is Your Aussie? July 18, 2012 -- Australian Shepherd Lovers Newsletter -- Issue #046 -- How Cool Is Your Aussie? April 18, 2012 -- Australian Shepherd Lovers Newsletter -- Issue #043 -- Time For a New Forum - What Do You Think? All Content Copyright © 2006-2018 Australian-Shepherd-Lovers.com. All rights reserved.